Since the very first moment human beings have started imagining the Gods and/or any supernatural force governing the world, they have felt the need of giving shape to those entities and sometime of locating them in particular places. They started with forests, rivers, lakes, caves or mountains which were considered sacred, and eventually they built for them – for their Gods – specific buildings: temples. Once upon a time it was like that. And still is. 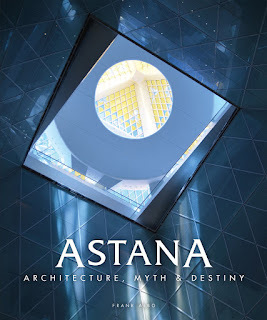 A great example of how human beings still try today – in the 21st century – to give shape and accommodate unknown entities, energies, spiritual forces in powerful places and buildings is Astana, the capital city of Kazakhstan.